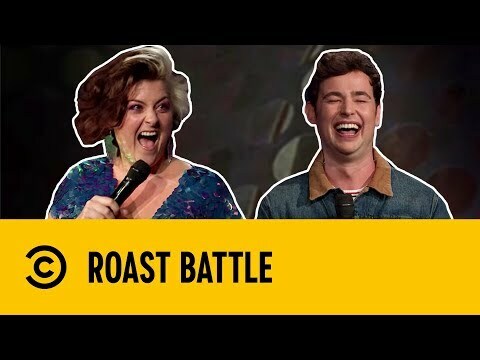 Brennan Reece and Kiri Pritchard-McLean trade vicious insults in this clip from Comedy Central's Roast Battle. The pair hold nothing back, as Reece mocks Pritchard-McLean for the number of men she has slept with – while she likens him to 'Ukip eugenics programme that ran out of funding halfway through'. The comics rip strips off each other in tomorrow night's show, which also features Joel Dommett taking on Alex Edelman. But the series kicks off on Comedy Central at 10pm, tonight with Tom Ward Vs Darren Harriott And Tom Allen Vs Larry Dean. Judges are Katherine Ryan, Jonathan Ross and host Jimmy Carr.